I've been coveting this mug for aaaages. 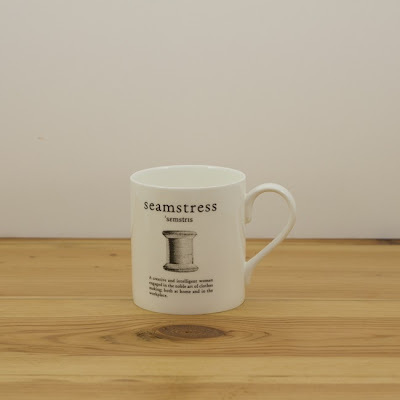 I don't know what it is about sewing and tea, but the two seem to go together hand in hand. 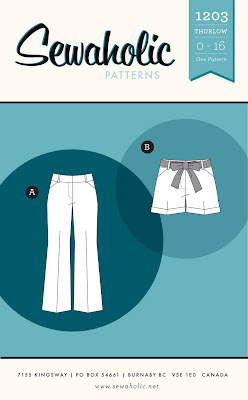 After seeing Lauren's gorgeous version, I've decided to get over my fear of trousers. Santa, are you listening? It's about time I got one of these. 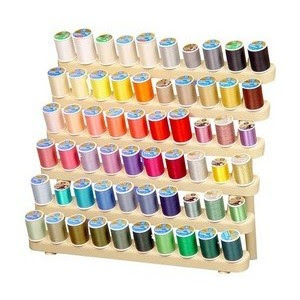 My thread spools are spilling all over my sewing box. Plus they just look so pretty! 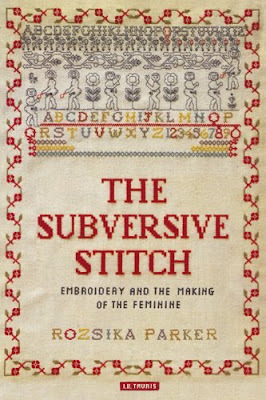 "Rozsika Parker's re-evaluation of the reciprocal relationship between women and embroidery has brought stitchery out from the private world of female domesticity into the fine arts, created a major breakthrough in art history and criticism, and fostered the emergence of today's dynamic and expanding crafts movements... Parker uses household accounts, women's magazines, letters, novels and the works of art themselves to trace through history how the separation of the craft of embroidery from the fine arts came to be a major force in the marginalisation of women's work. Beautifully illustrated, her book also discusses the contradictory nature of women's experience of embroidery: how it has inculcated female subservience while providing an immensely pleasurable source of creativity, forging links between women." I know most sewists also knit, but not I. I did try. But I'm impatient. And it makes my hands hurt. Oh and I was rubbish at it. 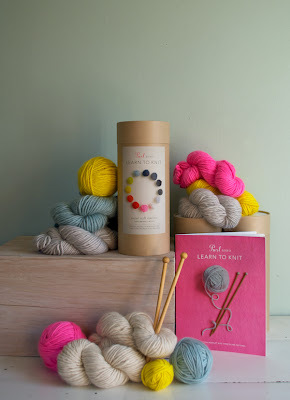 But anyway, all that is irrelevant when you behold the beauty of this beginners' knitting kit. Swoon! 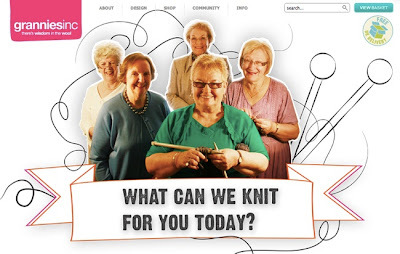 Or more realistically, designing a snood and having a Granny knit it for me could be even better! I squealed with joy as I watched this video explaining the concept behind this marvellous venture. 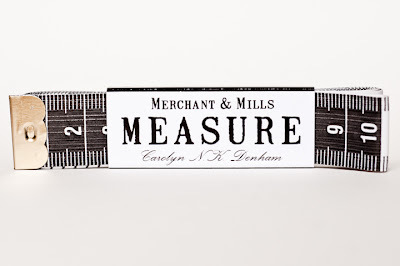 My yellow tape measure just doesn't compare to the sophistication of this monochrome gem. If I draped this one round my neck it would go with everything! I'm not really a magazine person. 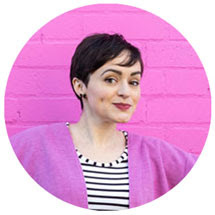 I find blogs written by real people so much more interesting. 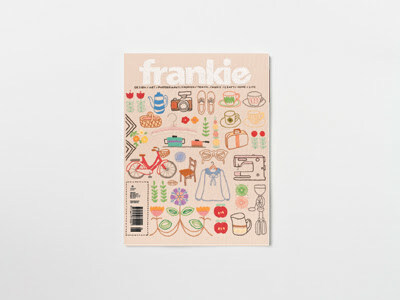 But recently I got into Frankie magazine, which is soooo beautiful and foregrounds crafts. I think it was a feature on a Chutney Club which got me hooked. And the latest edition has embroidery on the front cover. Yes. 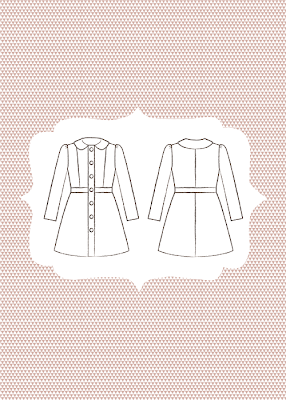 And finally, French pattern designer Deer & Doe's Pavot jacket was high on my list... and it turned up in my mail box the other day! My sister-in-law got wind of it and sent it over. My first Chrimble prezzie! Hooray! PS. 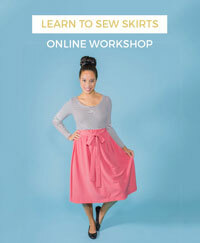 For more Christmas gift ideas for crafters, check out DIYcouture's round up.